One of the joys of being a supporter of President Ernest Bai Koroma is that you never have cause to ever defend the man’s character. The President’s integrity and character are as clean as a whistle. He has never got himself in situations that compromise his integrity and character. 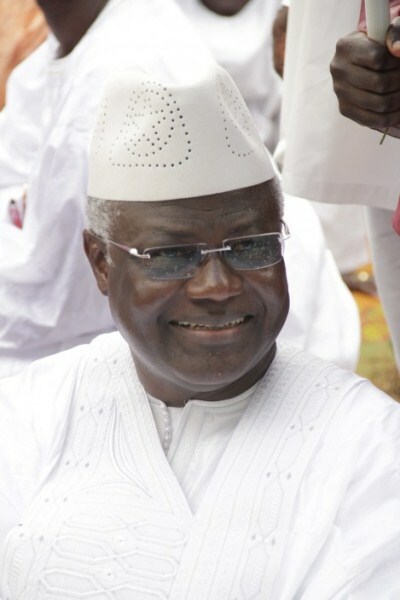 His detractors have been trying to make political capital of the Al Jazeera documentary that exposed corruption in the banned timber trade , but they fail to realize that once President Koroma himself remains clean and honest in his dealings with national and international affairs, these isolated events will not affect his electability in 2012. Reputation is what people think of you , and even the mob could be wrong about a man . Your character is however who you really are and when it comes to that it is very difficult for even your enemies to destroy you if you do not do things that affect your integrity and character . Since he entered public life after graduating from college in 1977 , Mr. Koroma has occupied key positions of responsibilty in society .He headed financial institutions and insurance companies but he left all of them without any blemish to his character. In fact, one of the reasons that thousands of his countrymen and women rallied around him to support his presidential ticket in 2007 was his character. President Koroma’s character will again give him a deserved second term when Sierra Leoneans vote again next year. Four years into his rule as President of Sierra Leone , nobody can come out honestly and justifiably to accuse the President of any wrongdoing bordering on official malfeasance and misfeasance in the execution of his responsibilities as Head of State and Fountain of Honour of our Republic. The other day, President Koroma went to a mosque in the capital and lifted up his hands in demonstration of their cleanness and told his audience that unlike some people aspiring for the presidency he has very clean hands — and nobody , not even his detractors in the press –contradicted him in any way. The reason they did not contradict him was that they had nothing to use to demonstrate that his hands were not clean. Since he came to power, President Koroma has never engaged himself in any act of corruption or abuse of office. Never has his name been mentioned in corruption or public misconduct. No human being is perfect and only a fool would regard any human as perfect , despite his sterling character. Man, by nature, has imperfections but one thing one can say about leaders like President Koroma is that they do try their level best to remain clean, transparent and accountable to their nation in all their dealings with people and situations , and this count a whole lot in their acceptability by their people and the outside world . It is a fact that President Koroma’s character is never in doubt. Even those who do not like him give him a lot of credit for the prudent, scrupulous and transparent manner he conducts national and international affairs. He is a very simple man, not given to any of the trappings of self-aggrandizement and ostentation and because of this, his detractors in the opposition Sierra Leone People’s Party (SLPP ) and the media have spent four uncomfortable years trying to fish out any personal and public wrondoing by President that they will pin on him and use to damage his character but they have failed miserably. They have found nothing against the President. That is why it is very unfair to President Koroma when some of those in whom he has placed implicit trust at times disappoint him by engaging in activities that tend to tarnish the good name of the government. It is the nature of man to disappoint and so some of the events President Koroma’s detractors are amplifying have happened during the reign of presidents and heads of state all over the world. The Al Jazeera documentary is unfortunate even as the producer’ has been caught out in distortion and fabrication of some of the events in the video but even if the so-called investigative work had been flawless , it is not a true reflection of President Koroma’s leadership and we expect those who want to use the foibles of some of the President’s officials to stigmatize President Koroma’s rule to understand this fact. Apart from the fact that he has himself never engaged in corruption, President Koroma has been very robust in the fight against corruption in Sierra Leone . The President vowed before coming to power that during his administration there will be no sacred cows and he has lived up to his pledge. The reason that it seems like there is more corruption now in Sierra Leone is that the All People’s Congress ( APC ) Government is very proactive in discovering and punishing the culprits engaged in corruption. No government has done half as much as the Ernest Koroma government has accomplished in prosecuting corrupt officials. The SLPP Government, for instance, did not punish any of its corrupt ministers and public officials in the 11 years it was in power. Because of all the facts above, the People of Sierra Leone and the international world continue to judge President Koroma by his own personal fidelity, integrity and character, and his reputation and character remain unblemished in the national and international spheres . This is the reason that the SLPP Presidential candidate Maada Bio has become very envious of President Koroma to the extent that he was not ashamed to demonstrate it recently in a foolhardy article to the GUARDIAN NEWSPAPER of Britain in which he questioned Former British Premier Tony Blair’s respect and support for President Koroma. It borders on the ridiculous , the insane and the depraved for a man with a criminal record like Maada Bio to become envious of the tremendous goodwill by President Koroma being enjoyed from respected world personalities like Tony Blair . Maada Bio exposed malice and envy in that article not only for President Koroma but the whole nation when one considers that Tony Blair’s constructive engagement with President Koroma is geared towards making Sierra Leone a better place for her citizens .It is not a mere friendship designed to satiate President Koroma’s personal interests. Tony Blair is more concerned about the welfare of the Sierra Leonean people and there is nothing wrong to express this through a special relationship with President Ernest Koroma , if he respects the integrity and character of the President. Ex-Premier Tony Blair has said many times in public that he works with President Koroma because he finds the Sierra Leonean leader a trustworthy and progressive man. Maada Bio should know that it is not by accident that people like Tony Blair gravitate towards President Koroma. The President deserves whatever goodwill he is enjoying from Mr. Blair because of his integrity and character . We know that Maada Bio will never enjoy such a special relationship with any world leader or personality , thanks to his human rights records and the extrajudicial killings he engaged in as a member of a military junta that once ruled Sierra Leone. It is an insult to human intelligence for Maada Bio to try to put himself where he does not belong–In the same category with President Koroma. Maada Bio and President Koroma can never belomg to the same category . Even President Koroma’s detractors can admit that. Both men are not comparable. While President Koroma attracts world leaders and personalities to himself like a magnet because of his remarkable integrity and character and the good governance he has provided Sierra Leone , Maada Bio repels them because of his bad character , lack of integrity and human rights record . In fact, Maada Bio is the subject of an inquest being requested by the families of the 29 people he and his junta murdered in Sierra Leone in 1992. One could see that Mr. Bio has no moral authority to criticize anybody. Maada Bio was even dishonest enough to compare a hardworking, democratic and progressive President like Ernest Koroma to Robert Mugabe. President Koroma is one of the most democratic heads of state ever to rule in Africa. This is the first time in Sierra Leone that there are no political prisoners. The press is free with over 50 newspapers, most of them belonging to the opposition .They write very critical articles against the government but since President Koroma came to power in 2007, no journalist has been persecuted or even questioned for the salacious articles. For the first time , Sierra Leone has very active civil society and women’s groups. The whole country is safe as the government is ensuring the safety and security of all people living within the country’s borders. Just yesterday, during a Peacebuilding Committe Session of the Sierra Leone Country Specific, the country was described by many members states of the UN as an African success story. We know that Bio wants power desperately in Sierra Leone but he cannot achieve his goal through vicious propaganda and lies. The people of Sierra Leone will vote for the candidate they trust most and the man who has a track record of brilliant stewardship to the nation. And in all likelihood, it is President Koroma who fits the bill.